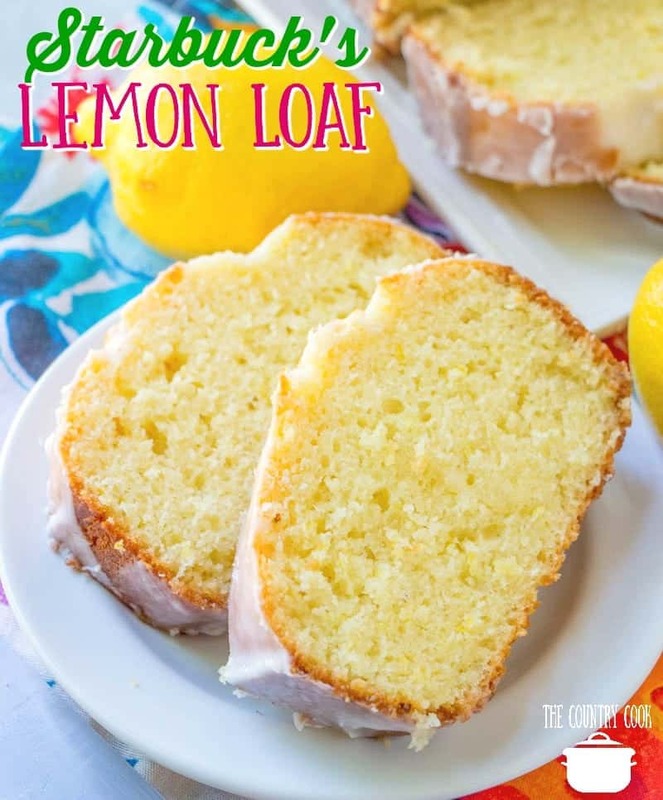 I think I could’ve eat this entire lemon loaf. It has been a crazy, hectic couple of weeks y’all. I thought with school being back in session that my days would free up a bit more but it turns out the opposite has been true. I have been working harder than ever! And I think my brain is nearly fried at this point. If you are a regular follower, then I will have something to show for all that hard work. Searching and printing options should be much simpler to navigate. And I would love your thoughts on any special features you’d like to see. Stay tuned! 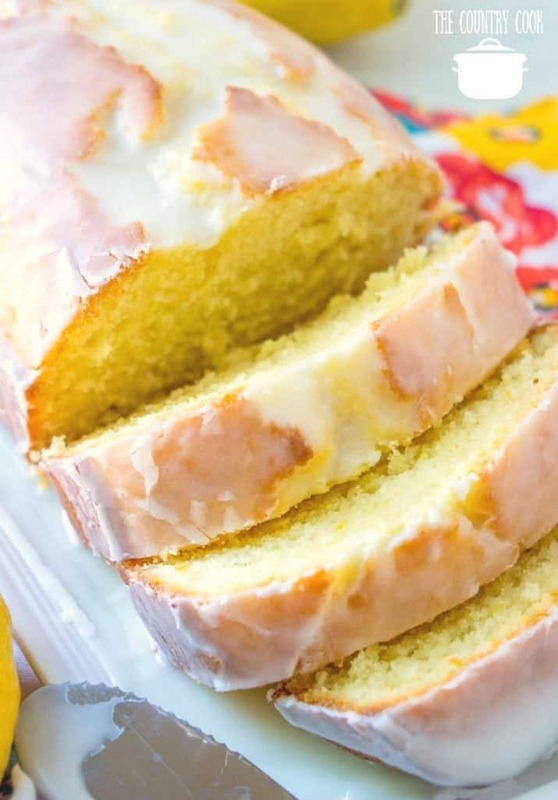 This is a darn good pound cake. I think it’s even better than the Starbuck’s version! I am working on a copycat recipe for their gingerbread loaf with cream cheese frosting. I’ll share that one soon! In the meantime, be sure to check out my Copycat Starbuck’s Cranberry Loaf! Perfect for fall and winter! Update: The Copycat Starbuck’s Gingerbread Loaf recipe is now up and on the site! Preheat oven to 350F. 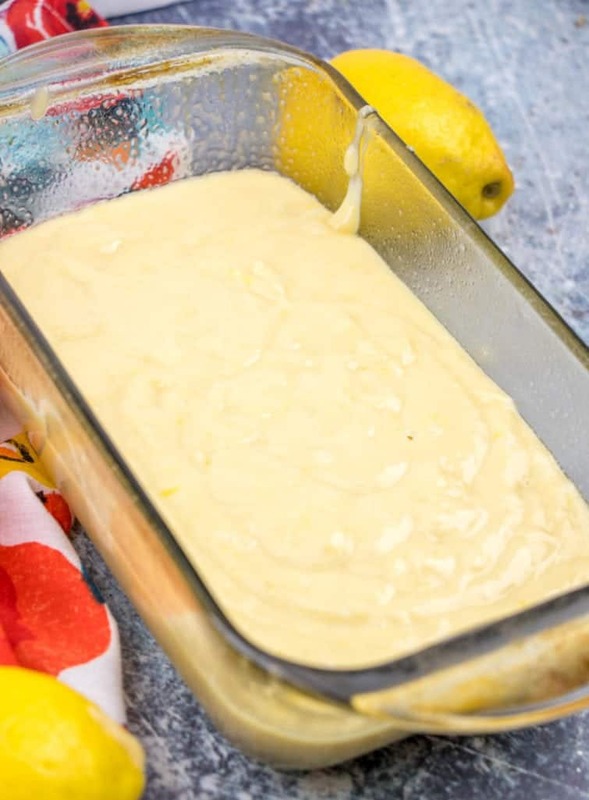 Spray a 9×5-inch loaf pan with floured no-stick cooking spray.In a large bowl, add the eggs, sugar, sour cream, oil and whisk vigorously until smooth and combined. Finally, add the lemon zest, lemon extract, and stir well to combine. 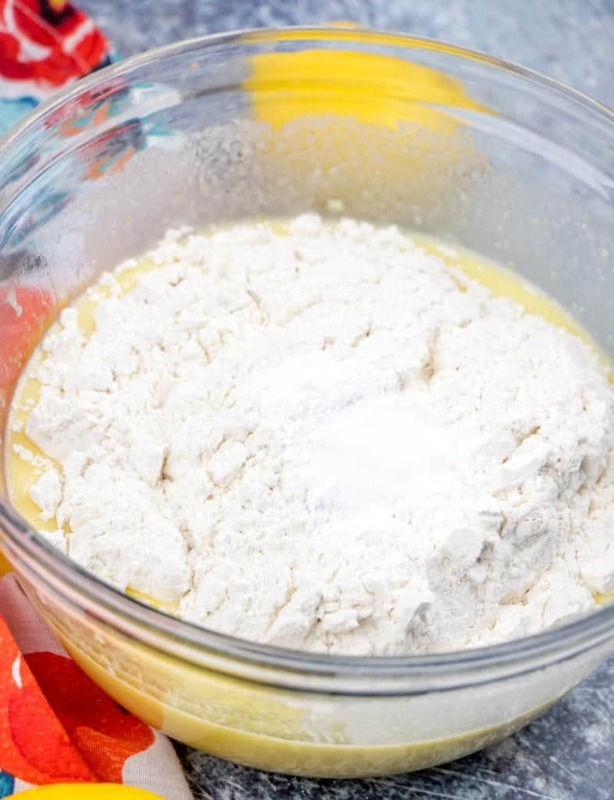 Then, stir in flour, baking powder, salt, and stir until just combined. It’s okay if it’s a bit lumpy. Pour batter into prepared loaf pan. Bake for about 50 to 52 minutes. Optional: In the last 10 minutes of baking, tent pan with foil (loosely drape a sheet of foil over pan) to prevent excessive browning on the top and sides of bread before center cooks through. Allow loaf to cool in pan on top of a wire rack for at least 30 minutes before turning out onto cooling rack to finish cooling before glazing. 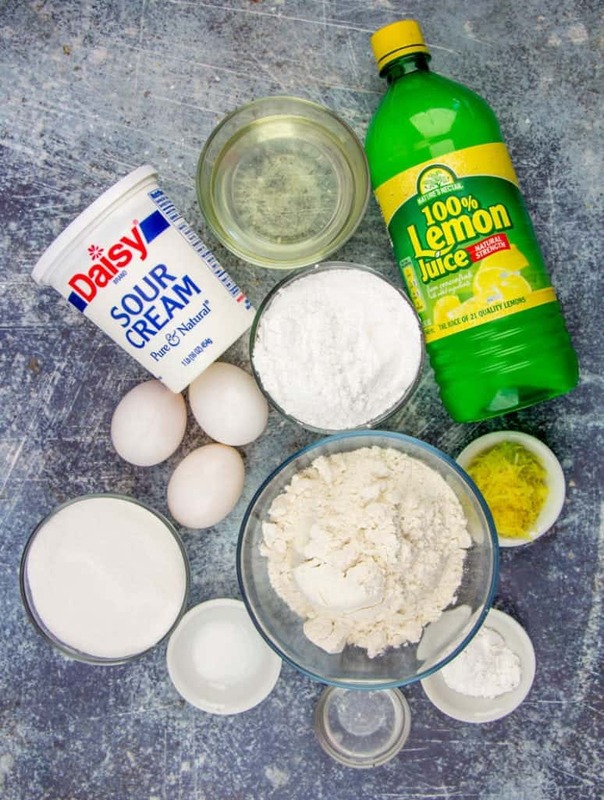 For the glaze, in a medium bowl, combine the powdered sugar and lemon juice until smooth and combined. 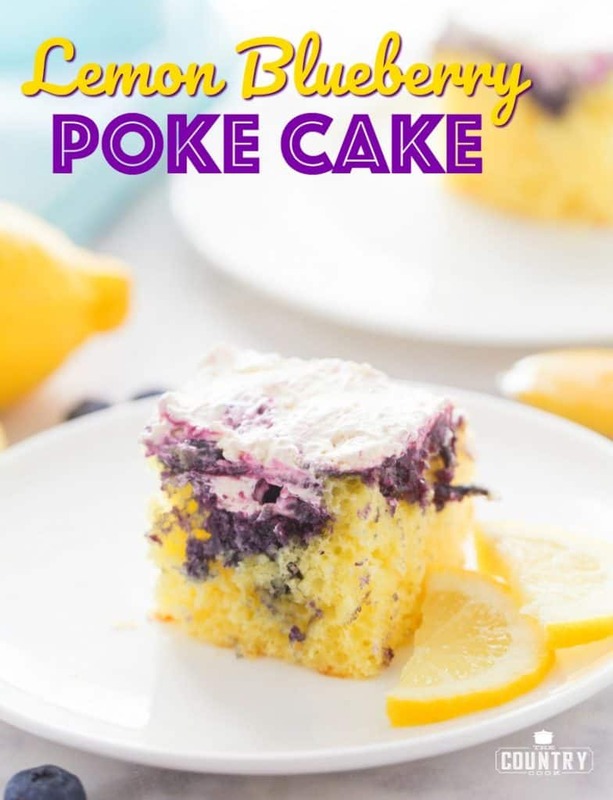 You may need to play with the sugar and lemon juice amounts a bit for desired consistency and flavor (I prefer mine to be thick.) 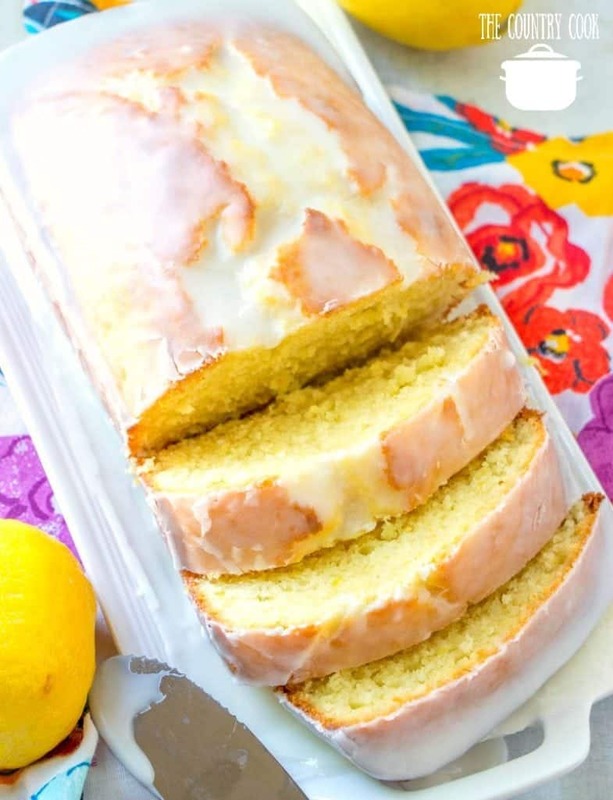 Evenly spread or drizzle glaze over bread before slicing and serving. 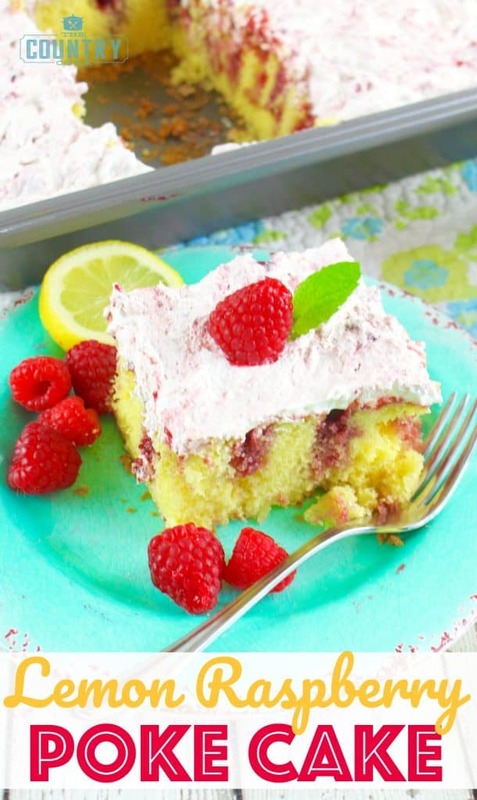 Cook’s Notes: Cake will keep airtight at room temperature for up to 5 days or in the freezer for up to 6 months. Don’t store it in the fridge because it’ll dry out. 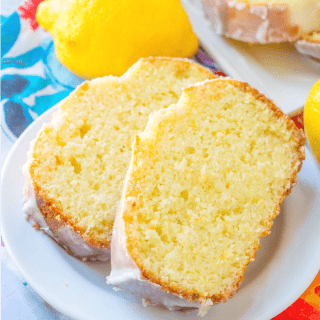 This Copycat Starbuck's Lemon Loaf is so moist and full of lemon flavor and a simple glaze on top makes this absolutely scrumptious! Preheat oven to 350F. Spray a 9×5-inch loaf pan with floured no-stick cooking spray. 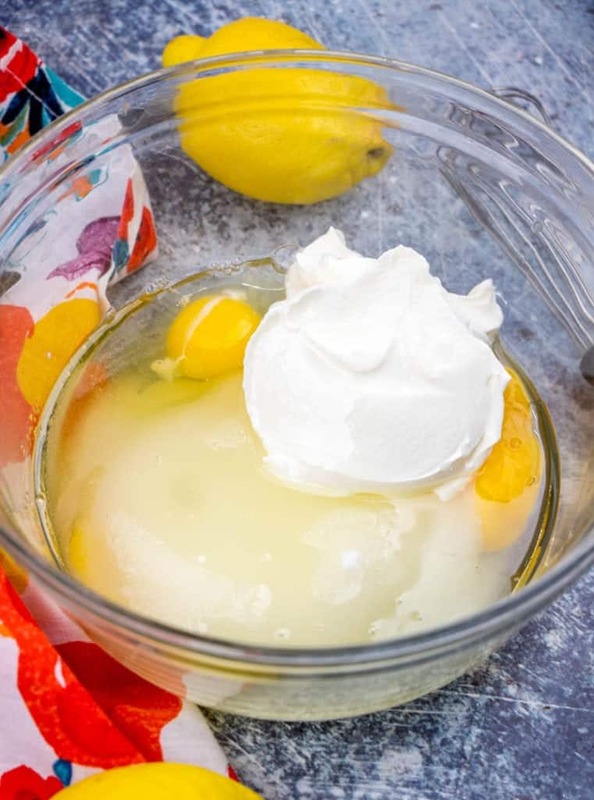 In a large bowl, add the eggs, sugar, sour cream, oil and whisk vigorously until smooth and combined. 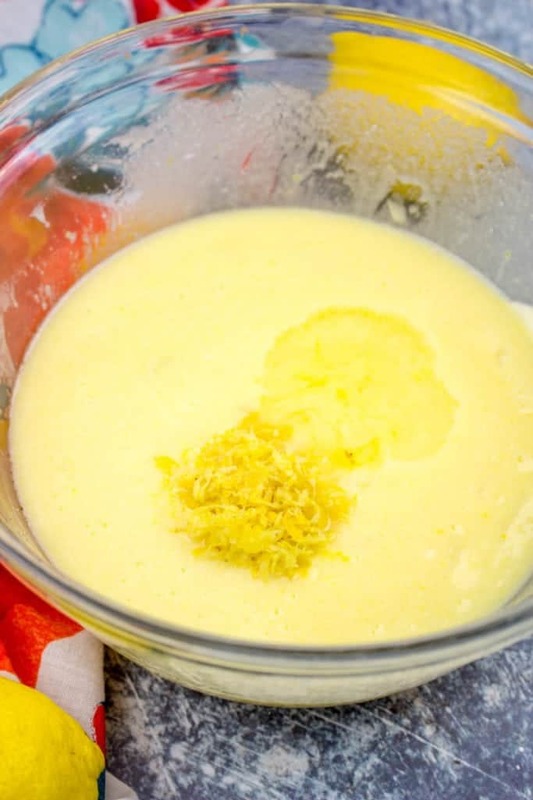 Finally, add the lemon zest, lemon extract, and stir well to combine. Then, stir in flour, baking powder, salt, and stir until just combined. It’s okay if it’s a bit lumpy. Pour batter into prepared loaf pan. Bake for about 50 to 52 minutes. 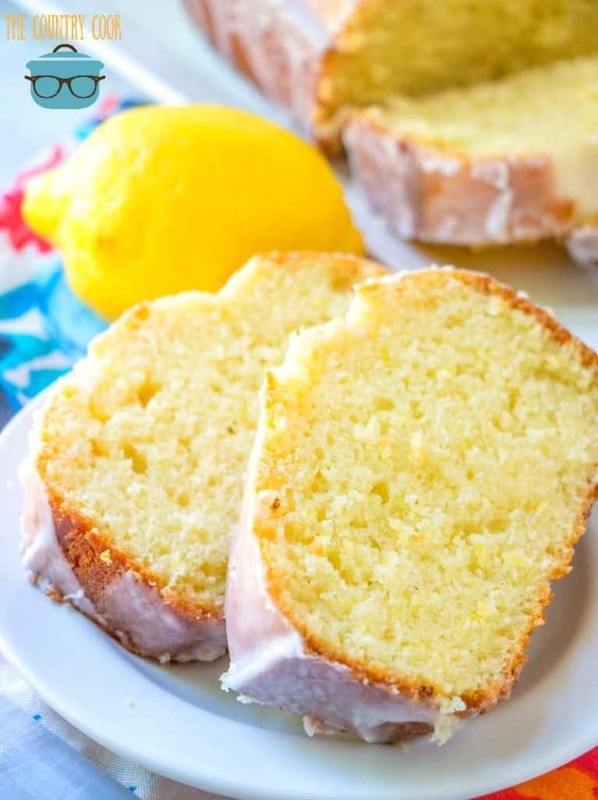 Optional: In the last 10 minutes of baking, tent pan with foil (loosely drape a sheet of foil over pan) to prevent excessive browning on the top and sides of bread before center cooks through. Allow loaf to cool in pan on top of a wire rack for at least 30 minutes before turning out onto cooling rack to finish cooling before glazing. 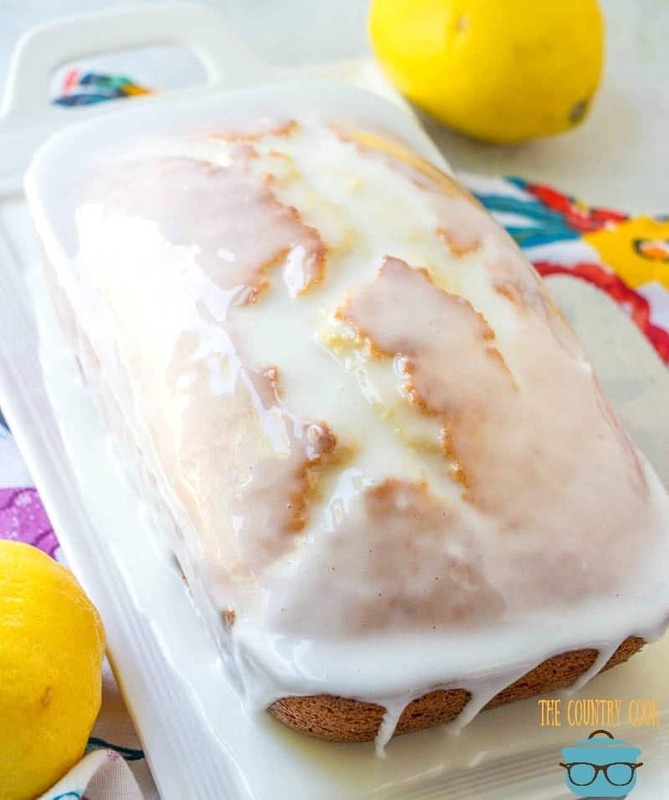 Evenly spread or drizzle glaze over bread before slicing and serving. 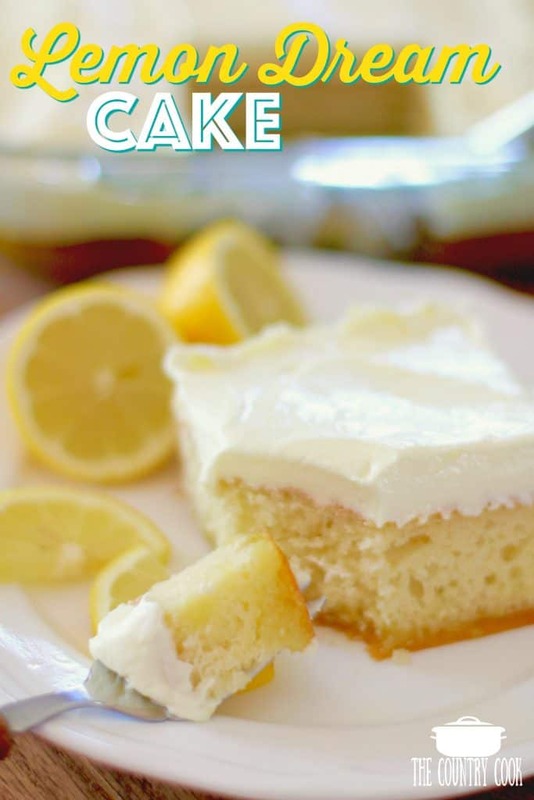 Cake will keep airtight at room temperature for up to 5 days or in the freezer for up to 6 months. Don’t store it in the fridge because it’ll dry out. do the flour hsve to be sift. Can the recipe be used to make mini loaves? If so do I need to any adjustments to ingredients or baking time?